Detallado estudio de las locomotoras y ferrocarriles industriales en España, a todo color incluyendo en sus 518 páginas, 54 mapas y 168 fotografías. 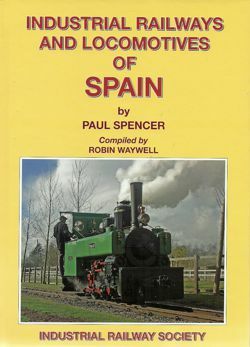 In the latest Handbook format, a superb detailed record of all known industrial railways and locomotives in Spain and the Balearics. Full colour throughout with 518 pages, 54 maps and 168 photographs.